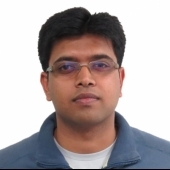 Vishal’s expertise includes being an Agile Coach, Software Product Development Consultant, Business Analyst, Enterprise Architect, and an entrepreneur. After ample amount of years spent in Agile Software Consulting and Development with various multi-national companies, Vishal began training and mentoring IT professionals in the art of agility. Participants he trains comprise of individuals who range from fresh out of university to CXOs managing multi-million dollar businesses. He helps them understand the Agile philosophy and provides the necessary assistance with their (and their team's) agile transformation needs. He's passionate about agile software development and believes that innovation is a habit that must be cultivated. He helps catalyse software products from concept to production and provide visible results much sooner than when organizations work alone.He loves experimenting with new tools & techniques and attempts to be as cross-functional as possible. • Manage project integration, communication, and stakeholders for scaled agile teams. • Coach teams on agile development methodologies throughout the development life cycle. • Monitor projects to track progress and foster innovation to improve product throughput. • Proactively identify risks and plan mitigation around costs, quality, timelines, and resources. • Manage people & project impediments to facilitate delivery focused, highly productive teams. • Execute project kick-off workshops and perform requirements analysis through iterations. • Manage backlog & releases along with the product owner for maximizing the ROI. • Improve user experience through continuous usability testing and focus groups. • Groom & mentor a team of business analysts in order to build a center of excellence. • Analyze and elicit requirements by conducting workshops during project inceptions. • Manage product backlog and priority to adjust release plans after each iteration. • Employ lean agile development methodologies (Scrum, Kanban and XP) for rapid feedback. • Provide on-going analysis and support to development teams during iterations. • Estimate efforts & cost using Function Point Analysis for floated RFPs during pre-sales. • Gather requirements & deliver use cases to help keep project on schedule. • Perform process, data, and work-flow analysis activities under limited direction and guidance. • Coordinate business requirements with business units and verify using Exploratory Testing. • Deliver wire-frame mock-ups and user flows for ease of visualizing the proposed systems. • Analyse and derive financial algorithms for IT implementation that fulfill business needs.